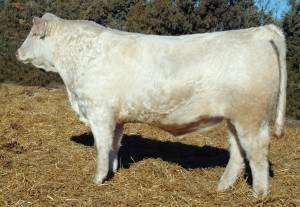 LT Commander was the second high-selling bull in the 2015 Lindskov-Thiel Ranch Bull Sale at $55,000. Superior feet, conformation and disposition highlight Commander. He's soft haired, with the look of a herd bull and has the numbers to work on heifers.